Eipix Entertainment presents the next heart-pounding chapter of the beloved Dark Parables series! Dark Parables: The Thief and the Tinderbox Collector's Edition is rated 3.4 out of 5 by 41. Rated 5 out of 5 by AforAllie from Very good game Beautiful artwork. 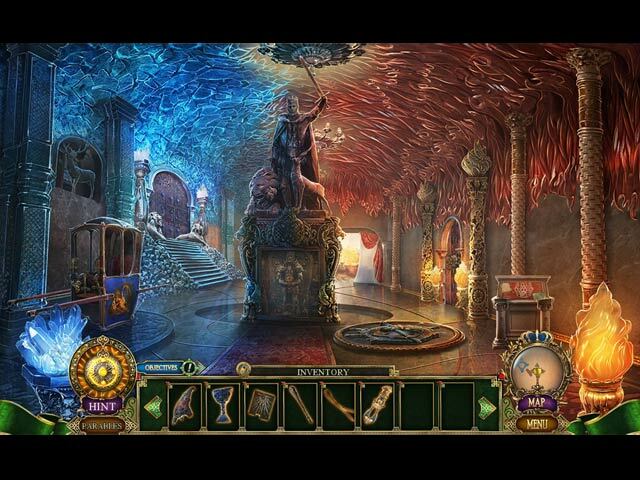 Lovely hidden object puzzles. The bonus game is OK, but not necessary to the story. I am a big fan of Dark Parables. Rated 5 out of 5 by AbdallahAli from The most amazing wedding with the most amazing old characters I loved this game very much, the Graphics : it seems eipix is getting better and better with improving the graphics, It's colorful and it's nearly up to the quality of blue tea games and I'm sure eipix can improve it more, The artwork was very amazing with some character but was bad with others and I hope this problem can be solved in the future the Audios and the music : the sounds didn't get much improved since the previous game but still good, the voices fit very well with the characters, this game has a very lovely and amazing music and it gives you the suspense you need with the game and it was just the right music to me. the storyline : The storyline in this game is new and I loved how the old characters were tied into a new storyline instead of just introducing a bunch of new characters the game contains a parables and it needs to be collected by finding the morphing object, Finding the parables was very difficult and I had to use the strategy guide so many times and I didn't like that and i hope to change this in the future since the parables is very important to the story. the FROGs and the mini-games : the FROGs here are very challenging, Although finding the fragment wasn't easy, I enjoyed it very much and It was very enjoyable for me, The mini-games are good and although it has a challenge from and between the medium to the hard, there is some mini-games easy and enjoyable The collector's edition gives you the collectibles and there's a 39 apple signs needs to be collected, Finding it is enjoyable I enjoyed collecting it, Also, there is a concept arts with many wallpapers, soundtracks, Souvenirs, replaying the FROG and the mini-games, Replaying the cutscenes, The strategy guide and of course, the bonus chapter. Overall, This game is a WOW to me, Eipix did a very great job with this installment and this is their best dark parables, Don't forget to try the demo first and see what do you think. Happy Gaming. Rated 5 out of 5 by Wiz201 from Played all the way through without stopping Such a lovely game to play with no long bits, no unnecessary jumping back and forth. The map is a good way to travel and tells you where there are bits to look at and puzzles to do etc. I thought dark parable games were going downhill a bit but this one has renewed my enjoyment. Rated 5 out of 5 by Oklady1948 from Witches, and fires, and a wedding ... OH MY!! Every time I play a Dark Parable game, I say it is the best game ever, and every time they come up with a new one, I am proved wrong. Thief and the Tinderbox, plays smoothly, moving from one scenario to another, the characters believable and three demensional. All that is missing are the fire extinguishers, buckets of sand, marshmallows, graham crackers, and chocolate bars. Rated 5 out of 5 by Marja67 from Great games I love the Blue Tea games. Beautiful graphics, great music, Always good storylines. A must buy. Rated 5 out of 5 by Chickadees3 from Holy fire brigade, Batman, we have to stop the arsonist!!! My review is based on playing the demo in custom mode and, oh my goodness, I did NOT want it to end! The story - prince and princess are about to be married. A rather sympathetic third person, who's been in love with said princess for years, wants to be the one she marries. In the process of trying to stop the wedding he starts tremendous fires all over the forests which start reaching into the buildings of the kingdom. He needs to be stopped and we, as detective, are the one expected to stop him. Can we do it before he kills us? Or kills someone else? Other reviewers have given excellent synopses of the game mechanics so I'll just get right into my overall impressions. Fun - I was having a really good time playing the demo. Nice, crisp scenery. Excellent sound, both in voices and all the other game sounds. The mini games were so well integrated into the flow of things that sometimes I wasn't sure if I had played a mini game or not. The games were mostly on the super easy side because I was able to solve them seemingly intuitively, almost no thought involved. All of the HOS's were the type I particularly dislike - FROG's - but, in this game, that really didn't seem to matter. It didn't bother me to play them because I was enjoying the whole game experience that much. And the end of the demo - oh my gosh! It really ended on a cliffhanger. I feel I MUST find out what happens! Too bad I've already bought my personal quota of BFG games this month. Now I have to wait until next month comes around. Thank goodness it's not too far away :-) I have one very small criticism. According to the special effects tutorial there was supposed to be morphing collectibles. I only ever saw the one for the tutorial and, believe me, I looked all over very carefully Either there's few of them and only one in the demo or they are very well hidden, so good luck finding them. Even though the level of challenge was fairly low I was having such a good time that I definitely recommend you try it for yourselves. Thank you Eipix and BFG for Dark Parables: The Thief and the Tinderbox. What a great game! Rated 5 out of 5 by 1955raven from SMOKING HOT NEW PARABLES! THEY HAVE CAME A LONG WAYS SINCE THE BEGINNING OF THE SERIES. THIS ANOTHER EXCELLENT ADDITION! SURE TO BE AT THE TOP SOON. Rated 5 out of 5 by biscuitsmama from AN EXCELLENT NEW DARK PARABLES THAT IS ON FIRE! 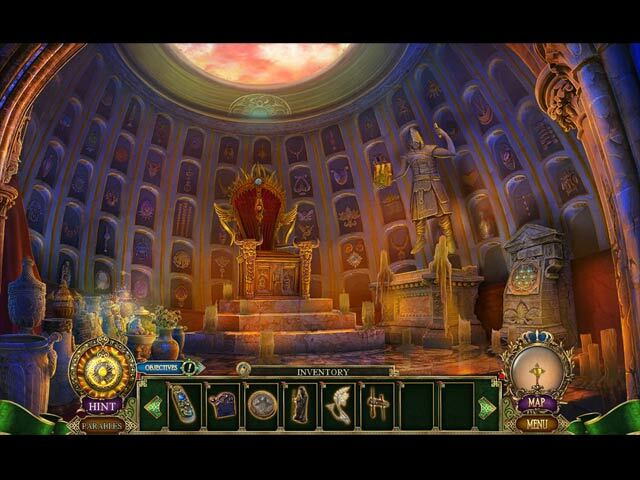 Ahh, another Dark Parables game and this one seems much better than the last offering in the series. In the Thief and the Tinderbox we come face to face with some characters from some of my other favorite games in the Dark Parables series which is always a special treat. You again play the game as a DP detective and this time you have been called to the Mountain Kingdom to investigate a rash of fires that are being deliberately set in the kingdom’s forests and, as an extra treat, you are invited to the wedding of Prince Gwyn and Gerda. As you arrive on the scene you encounter the arsonist as he is busily burning down trees but he soon attacks you and then disappears inside one special tree in the forest. As you track him you find that he is after an artifact that is buried in the old king’s tomb – one that is well-protected and extremely dangerous in the wrong hands. As you find the Tinderbox the thief attacks you and steals the treasure you have found before disappearing. It is then that you realize it is one of your old friends Kai. Why has Kai turned into a thief and worse yet an arsonist? Play this wonderful new game and find the answers as you solve the mysteries hidden in The Thief and the Tinderbox. The graphics, sound and all the other technical features of the game are just what we expect from this development team. The only shortcoming, IMHO, is the bland FROG scenes that can’t begin to compare with the gorgeous opulence we found in the ones from the original developer of the Dark Parables series. The game offers several modes of gameplay including a custom mode where you can fiddle with various settings. One vast improvement in the newer Dark Parables games is that they include an interactive transporter type map that actually works which is something I appreciate, since in the original games I could never get the map to function properly and allow me to move quickly between scenes. The HOPS in this game or FROGs are very different from the ones we found in the earlier games but they are okay. I found the items to locate very dull and dreary with many of them a bit different than the items that we are supposed to find. For instance in the graphic an item might be a shiny blue circle and when we look through the junk pile the item will be tarnished silver and I think that is a bit deceptive. In the original games the items always were depicted accurately and most times they were quite beautiful. While I am a bit disappointed with the FROG scenes, the puzzles are excellent. I found many of them to be different and very fun to complete. None of them were extremely difficult but at the same time not everyone will find them too easy, and this is something I appreciate. For me at least, games should be fun and not extremely frustrating when it comes to completing a puzzle before continuing with the storyline. The CE content is fairly good and includes locating parable pieces that are scattered throughout the game. Once we find all of the pieces to complete a parable we can read that story. The other collectibles to find are 39 round medallions and after completion of the main game and bonus chapter we have souvenirs to find. The other extras include the strategy guide, bonus chapter, concept art, wallpapers, music and videos. The storyline for the Thief and the Tinderbox is excellent and one that I am enjoying. I only stopped playing long enough to write this review and then I am jumping right back into the game. I was quite surprised that the game is an improvement over some others in the newer Dark Parables games and one that offers challenge, a great storyline, and interesting puzzles. 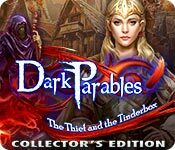 Since I happen to enjoy fantasy type games and particularly have always been a fan of the Dark Parables series, I am finding the Thief and the Tinderbox a very entertaining game. Even though the game was an instant purchase for me, as always, please try the demo to see if this is a game you will enjoy.